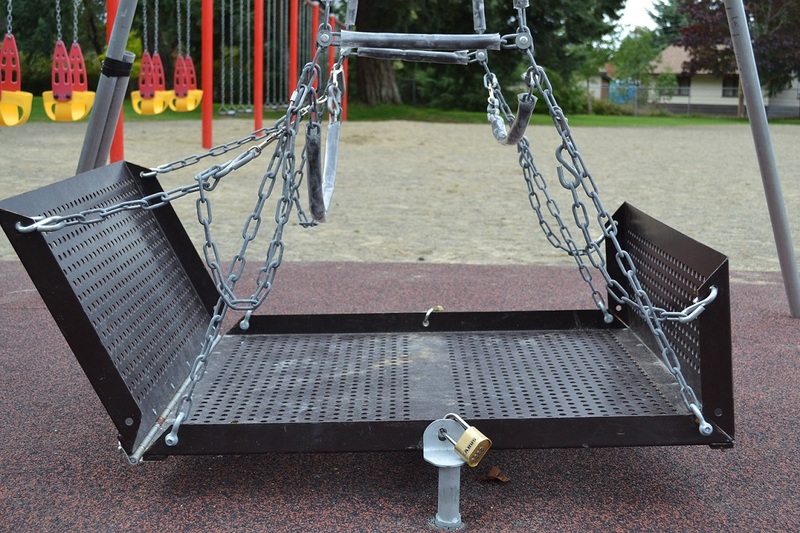 To use this swing, enter the combination "2345" on the lock and push down on lock to release. Please read operating procedures before entering swing area. Remove locks by dialing in combination and pushing down on lock to release. Remove lock pins from in-ground anchors and set both lock pins and locks into holders on swing struts. Two people (one adult) must be present to get platform into operational position. One will hold platform in position while the other places wheelchair on platform. This also applies to removal of wheelchair. Before placing wheelchair on platform, unsnap or remove long-restraining chain. Unsnap chains to lower ramp. Place wheelchair on platform and lock wheelchair wheels in position. Return ramp to original upright position and attach restraining chain to chain assembly with swivel snaps. For added safety, the restraining chain may be positioned across chest of occupant. 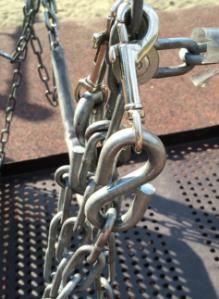 The shorter restraining chain is available as a handhold. Similar to removal, carefully replace and re-attach all ramp assembly and restraining chains to original positions. 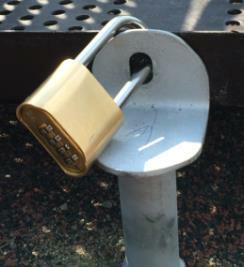 Place lock pins in the in-ground anchors and ensure combination locks are secured. Please report potential problems to 250 248-5412 immediately. 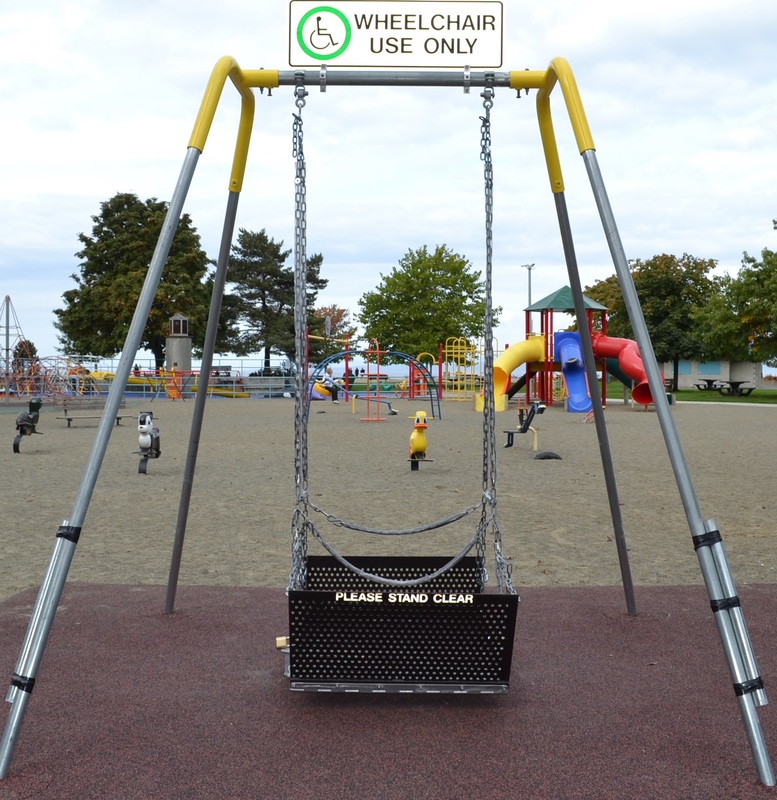 City of Parksville is not liable for any personal injury from use of this equipment. All persons using the swing assume responsibility for personal injury resulting from its use.